A thirtysomething attempts to find her feet following the breakup of a long-term relationship. Much like recent offerings Lover for a Day, I Got Life! and Let the Sunshine In, writer/director Léonor Serraille's debut feature, Jeune Femme, is yet another French drama concerning the attempts of a woman to find her feet and embrace independence following some disagreeable experiences in the minefield of relationships. This one adopts a more comic tone than its peers, resembling a very French riff on the sort of multiplex Hollywood fodder that usually stars the likes of Amy Schumer. Thankfully, its leading (not so much of a) lady, Lætitia Dosch, is a far more engaging and sympathetic screen presence than Schumer. Dosch is the titular 'young woman', Paula; though at 31 and having spent the entirety of her twenties in a relationship with an older and apparently controlling photographer, Joachim (Grégoire Monsaingeon), her youth is in danger of escaping her. Following a row with her lover, Paula finds herself alone, save for her long-suffering pet moggy, on the streets of Paris, surfing couches belonging to friends she made through Joachim, and coming to realise she has no life of her own. Forced to reinvent herself, Paula takes a job at the 'knicker counter' of a shopping mall, flirting/not flirting with the security guard (Souleymane Seye Ndiaye) in a Tracy/Hepburn-esque dynamic; becomes the live-in maid of a snooty dance teacher; befriends a wealthy lesbian socialite who mistakenly believes her an old-school friend; and attempts an overdue reconciliation with her estranged mother (Nathalie Richard). 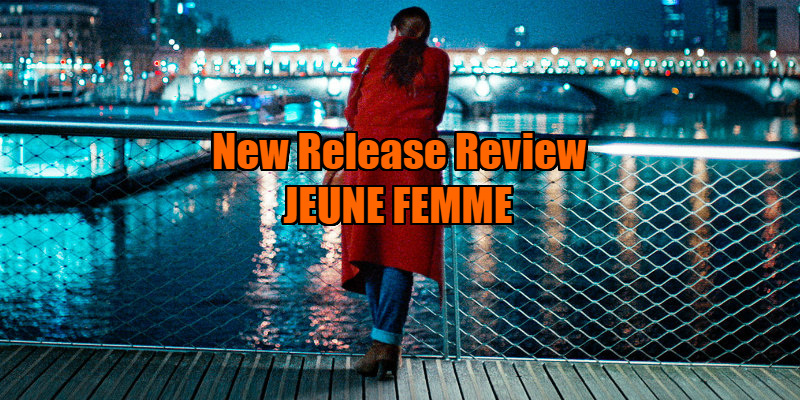 With its loose structure of vignettes, Jeune Femme has the feel of a few episodes of a cancelled TV sitcom that have been sloppily edited together and released in movie form. Like its protagonist, Serraille's film is unfocussed, rambling around the streets of Paris in search of a narrative to cling onto. While I enjoyed the exploits of woman-child Paula, I found myself wishing for the tight structure of a Hollywood comedy to contain her messy adventures, for a distinct line which might allow her to abseil from point A to point B. That said, if Jeune Femme were a sitcom, I would certainly be curious to tune in, as Serraille and Dosch have fashioned an intriguing character in the shape of Paula, and watching her struggle with the sort of social routines most people take for granted is reminiscent of a female-centric, working class, European take on Curb Your Enthusiasm. Yet while Larry David's show is famously improvised in its individual character interactions, it follows a rigid form of storytelling that in spite of its deceptively loose nature, always leads to a satisfying wrap-up; something all too absent from Jeune Femme. 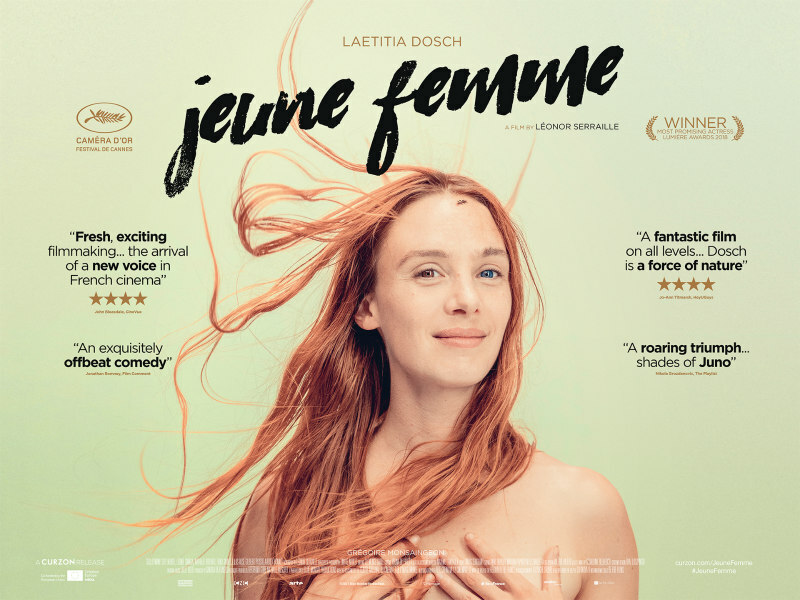 Jeune Femme is in UK/ROI cinemas May 18th.